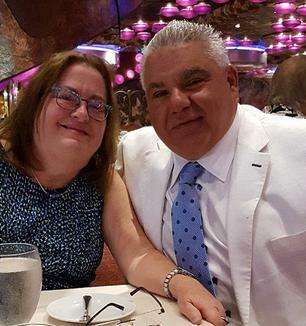 Hi there, my name is Vince Rua and I am the founder of Christopher’s Custom. 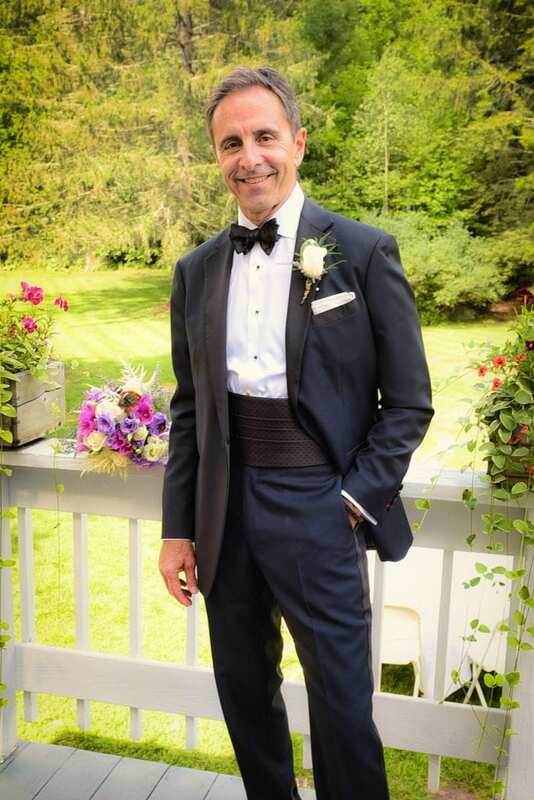 This photo is from my wedding day, in my favorite tuxedo with custom accessories! I have been recognized by my industry as one of its leading experts from 2000-2003. 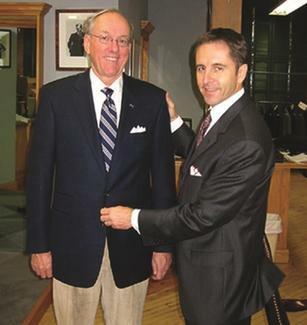 During that time, I was the lead spokesperson for the Men’s Apparel Alliance, whose members included men’s specialty retailers from small local stores to The Men’s Wearhouse. During this time I was interviewed by the late Peter Jennings of World News Tonight, the BBC, the Walls St. Journal, the San Jose Mercury News, among hundreds of others. I even emceed a fashion show on NBC’s Today Show featuring Al Roker and former boxing great, Jerry Clooney. Esquire Magazine chose me as 1 of the top 100 Men’s stores in America 7 seasons in a row (I started my fashion career by founding a chain of men’s stores that grew to six stores from Syracuse to Philadelphia). This recognition goes to the top stores for their merchandising expertise. We always had excellent “sell-throughs” or “inventory turns” and our vendors recognized our ability to spot fashions that would sell! During the growth of my men’s chain, I developed several protocols upon which I rely for out-of-town measurement requirements. When I had my stores, we did a ton of wedding rentals. Over 4,000 tuxedo units per year in our Albany, NY store alone to be precise! When I was chosen to make the Final Four blazers awarded to each coach making it to the Final Four each year, I utilized protocols developed in my Tuxedo Division model, and today, regularly design custom outfits for customers from outside of my geographic area with no difficulty at all. We are entering our 8th Season making Final Four blazers, and have only measured one coach so far…and NO complaints! From the outset, I loved everything about custom and believe custom today to be the future distribution channel for better men’s clothing. It just makes so much sense! No wasted travel to a mall, then around the parking lot looking for a parking spot, etc. From the customer’s perspective, there is no pressure to purchase something you don’t want…or that doesn’t quite fit. You order what you want…and it fits perfectly! Today, I carry over this trained eye to translate NY and European runway fashion ideas into wearable wardrobe alternatives for today’s professional guy!